Fusion Autos - Garage/Vehicle Services based in Lidice Road, North Humberside. Invoice history based on 1 reviews. 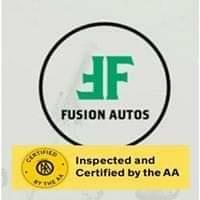 Fusion Autos is a local business located close to central Goole. We are based less than one and a half miles away from Goole Railway Station - which is an excellent transport option if you're dropping your vehicle with us. We provide a range of services which include MOT testing, servicing, and repairs which are offered at competitive, realistic prices that you can afford.